Do you prioritize joy in your life? Sometimes the obvious must be pointed out! On an emotional level, we may feel joy in a variety of ways — tearfully, euphoric, with a deep sense of contentment. Scientifically, we experience joy through our neurotransmitters, and benefit in active physiological ways. embraces and embodies love and peace. It is whole, comforting, and inspiring to do bigger and better, to see what possibilities lie beyond. People want to be with you and want to know what it is you have or are doing that makes you so wonderful to be around. Joy grounds you and gives you energy and awareness. Look for ways to add joy to your life and share your light of joy with others! One way is to give joy through special, hand-made, love-infused DIY treasures. A hand-made gift – even the smallest and simplest of gestures – brings a smile and makes a moment more meaningful. Any day, not just a holiday or special occasion, is an opportunity to create and give. Make something. Give it to someone you love. DIY Halloween Crafts are a ton of fun to make with kids. Who doesn’t love a good ole pumpkin parked on the front stoop at Halloween? Did you know that there are all kinds of theories out there regarding the origin of the jack-o’-lantern? Some folks believe the term jack-o’-lantern originated in 17th century Britain, when it was used to refer to a man (the common name for unknown/unfamiliar men was ‘Jack’) with a lantern, or a night watchman. Another theory purports that the custom of making jack-o’-lanterns goes back to 19th century Ireland. It is said that at this time, the lanterns were used to ward off evil spirits – especially vampires! Today, carving pumpkins for Halloween has become a fun family activity. We can make our pumpkin faces cheerful, scary or comical. Or go all artsy with figures, logos, and symbols. 1. pumpkins of course! Miniature pumpkins are cute to decorate, easy for kids to manage and great for decorating indoors. 3. soap dispenser – buy a plastic soap dispenser (Dollars & Cents for $1.25), add refillable white liquid hand soap, and choose a ribbon for fun. Tie a knot and done! 4. windows and mirrors- can’t go wrong! 7. milk containers – recycle your milk jugs, cut a hole in the back and add orange lights. Perfect for the front porch! 10. Last but not least – a bat wreath! All Made out of paper. Add glitter to the FREE Printable cut outs and voila! In 2005, the world’s largest pumpkin weighed in at 1469 pounds – from Pennsylvania! In 2013, Keene, New Hampshire reclaimed the world record for most lit jack-o’-lanterns on display: 30, 581! Those lazy-hazy-crazy days of summer are still in full swing – but alas, September is fast-approaching. The start of the school year is around the corner and stocking up on supplies and clothes and lunch boxes is REAL! But practical to-do lists aside, your child’s transition to the next grade, with a new teacher and a shiny blackboard and lots of cool stuff to learn…is really an extraordinary time. It’s a new beginning. It’s the next step of personal growth and inching their way closer to – dare I say it? - adulthood. Capturing these special life moments is a must! Why not start a new tradition? Homeworks Etc has a great way to capture that first day of school, year after year. Our Back to School Chalkboard is a sweet way for you and your child to mark the ‘first day back’ each year. And it’s so easy to use. Pop by the shop to buy yours or SHOP ONLINE. Order your ready-made chalkboard here at Homeworks Etc! We want you to create memories. We also have a FREE Printable for you to download. If you enjoyed this printable, like and share this post with your friends. Join us for our Spring Sale this Friday, Saturday and Sunday to shop our store located in Cloverdale, BC. Parking is available in the back or along the road. We are at the 7-11 corner in this complex at 5 corners. Aren't these the most adorable white gourds! I purchased ours from our local garden center at West Coast Gardens in South Surrey, but you have to get these quickly because they sell out fast. We are giving ours as gifts to neighbours and teachers this year. You can use our printable as gift tags too, or add to a bottle of wine as a hostess gift this Thanksgiving. Easy, Simple and Quick! That's how we like our craft projects. I placed ours on the cutest Farmhouse looking cutting board that I just adore. Ready to Gift! Quick, easy and painless. Who are you thankful for? Gift them a simple decor piece for their home. While Homeworks Etc offers amazing DIY workshops for adults wanting to try their hand at creating hand-made décor for their homes, our space is designed to welcome kids, too! We are happy to provide opportunities for your children to also learn a new craft, and to leave our shop with a cool, personal, ‘made-by-me’ addition for their room at home. There’s a new paint on the Homeworks Etc. shelves. It’s called Fusion™ Mineral Paint. We are thrilled to bring this new product to our shelves and workshops! Not only is Fusion™ Mineral Paint a high-quality product available in practical sizes and a fantastic array of colours, but it also has a low environmental impact – specifically, this paint has zero VOCs! They are non-toxic, odourless, and have no ammonia or formaldehyde. And the bottom line is sweet, too – the prices are fair-market reasonable. What a find! Fusion™ is an acrylic, water-based paint (not chalk-like) that delivers an exceptional matte finish. It is the perfect choice for the DIY projects offered at Homeworks Etc., and for the many décor projects you have awaiting at home. Once cured, this paint is highly durable, washable, water- and stain-resistant, and has an almost zero reflectance value (most desirable for the smoothest of finishes). You can also easily work with Fusion™ for distressing, another beautiful technique to complete a treasured home décor project. Its special formulation allows it to adhere to almost any surface, from wood to metal to glass – even to lacquered surfaces! Fusion™ Mineral Paint company can proudly boast that their raw materials are sourced locally, and are all packaged and labelled by hand. The human touch! Homeworks Etc. is delighted to stock, sell, and use the paints in our DIY workshops. The colours are stunning – there is a magnificent collection of over 50 hues! We are proud to not only showcase an exemplary, one-of-a-kind product of the highest calibre, but to partner with a family-run Canadian business intent on supporting both the local economy and honouring the planet.Well done! Drop by Homeworks Etc. for a peek at these wonderful Fusion™ mineral paints, and check out our upcoming DIY workshops for an opportunity to give them a try! Your home is your sanctuary. It’s your castle. It’s a special place of comfort and safety, and filled with love, joy, and laughter. It’s at times a haven in which to cuddle up and close off the world, and in other moments, it shines as an integral part of the neighbourhood - opening its doors to receive friends and family. And of course, we all want our home to look and feel beautiful, warm and welcoming. But shopping for charming embellishments to take your décor up a notch can get very expensive. Imagine using your own loving touch to transform your home into an exquisite place that garners ooohs and ahhhs when visitors cross the threshold. Even before they cross the threshold – you can stop them in their tracks by a bit of decorative flair on the front stoop! DIY home décor is fun, exciting, and a wonderful low-budget option. It allows you the opportunity to infuse your (and your family’s) personality into your rooms. You have control over shaping your space into whatever you want it to be. You can let your imagination run wild…right onto your walls! And your family can contribute – by coming up with unique ideas (for example, children can contribute to fantastic makeover ideas for their bedrooms) or by rolling up their sleeves and working on projects with you. Homemade décor is very personal, and can be the tipping point for transforming your house into your family home. It’s like baptizing your home with a river of personality and love! If you’re interested in trying your hand at bringing handmade décor into your home, check out Homeworks Etc. for an array of DIY projects. Be prepared – once you start, you may find it hard to stop! A Creative Full Day Retreat for You! It was a long, long winter: unusually cold and snowy, and downright wintry. For far too long, we nestled indoors with blankets, nursing hot cocoa, and binge-watching Netflix series ad nauseum. But finally, Spring is springing. As we emerge from the proverbial cocoon, spring fever is casting its spell. Fresh air and open windows, Spring cleaning, and a critical eye scouring the inside and outside of our homes…it’s time to get moving! But wait. Are you ready for a bit of a Spring Fling? How about combining a self-loving ‘me’ day with the opportunity to produce not one, not two, but three spectacular DIY projects to ramp up the charm in your home? Imagine spending a full day with friends – noshing, chatting, learning, laughing, and creating splendid home décor gems…and capping the day with a glass of wine to toast your beautiful new home finery! So, gather your friends and register for the DIY Creative Full Day Retreat…and leave the rest to us! EARLY BIRD SPECIAL Register before Friday, April 28st to save. Don’t hesitate to contact us if you have any additional questions – we are happy to oblige! My son's crazy obsession with hockey! Erin Fraser, Fine Arts Photographer in the Lower Mainland, specializes in creating “edgy, dark but romantic” photos. Sifting through her online portfolio (http://www.efraserphoto.com/), one does indeed perceive an undercurrent of romance…each photo pulls the viewer into the emotion of the setting. And the outdoors plays a big role as a backdrop to human expression. Along these same lines of capturing feeling in her photographs, Erin has combined her son’s obsession with hockey and her love of art and design – to fashion a room that makes Carden feel absolute joy! Where did the idea for your son’s room transformation come from? The design concept came from my son’s crazy obsession with hockey! I wanted to marry his love for hockey with my design tastes, to avoid having too much of a character-driven room. I loved the idea of having a classy/trendy sports theme. Did Carden have any specific requests? Carden’s request was to have his dad’s pro jersey hanging on the wall, and he loved the idea of a hockey stick to hold his medals. What does he love most about his room? I’d say his favourite part of his room is being able to use the window seat as his display for favourite players. He’s also obsessed with the Patrick Kane doll, since he loves the Blackhawks. Oh! I should probably mention the random ring. That’s my husband’s card that's autographed with that ring. It’s the Kelly Cup ring that his team won when he was playing in the ECHL. Carden loves it because it’s his dads. How did you learn about Homeworks Etc? My relationship with Homeworks Etc began when I found the company (online) initially because of the hockey stick wall hanger! We followed each other on Instagram after that and I got to see the other fun sports-related design elements Jacqueline had in her store. Spring is here and so is our featured shopping guide for nursery and kids essentials including amazing brands for Mommy & Me, creative learning, baby, fashion and decor. Browse our catalogue below and click on the photos on these pages to link you to browse their shops. Comment below if you've shopped these stores or if you see something that you would love for your children! Decorating a nursery sport room? Check out this inspiration by Sarah Granger featured in June 2014 issue of Pregnancy and Newborn Magazine. Click on the link to see the entire publication of Pregnancy and Newborn. Explore the wonders out in space from your own home with space themed room decor! Make it a room that they can imagine and grow in. It all starts with inspiration and adventure for this boys room. Owen is a astronomy fanatic who loves to read and spend time in his room exploring new territory and learning about the world around him. Far Far Away.... room ideas and inspiration to get us started on this room design. We chose a dark deep color from Benjamin Moore called Anchor Gray 2126-30. Seemed fitting for the theme too! Get lost in the time warp of another galaxy with accessories from Ikea, where most of the furniture, clock and storage supplies were purchased. Encourage creativity for boys with blackboards and arts and craft supplies on this compact desk space. Great for small spaces! Wood Sign and Wall Hook Decor accents from Homeworks Etc SPACE AND ROBOT nursery and kids decor. Space themed from decor Robot and Rocket ship wall decals are our favorites. Nothing screams outer space like Stars Wall Decals. Always a classic look that make it easy to decorate! Choose one wall to randomly or strategically align the decals to suite your style. SHOP Homeworks Etc for more space room ideas to help you transition from baby to kids room. Thanks to this family for letting me invade their home to create a space for their son to grow. Please share your thoughts and ideas on this room design directly on the comments below. Gender-neutral nurseries are usually in a white or grey color scheme in order to appeal to boy or girl. This warm gold example is a little more unexpected with very grown-up accents in an extremely popular metallic tone. Mixed metals in warm hues are trending for 2015, so it’s no surprise that this lovely nursery is utilizing the look. Perhaps the little one living here will be a trendsetter as well. There is no question that white and light grey are serene in a bedroom. This darling nursery is calming and sweet with light grey star wallpaper and vintage toys and decor. Bringing in a little more color, this playful yellow nursery is filled with a great mix of collected items and books. The subtle spots on the curtains tie it all together. The custom shelving is a great way to incorporate the saved treasures from Mom and Dad's childhood. Transitional Nursery by Scottsdale Interior Designers & Decorators J & J Design Group, LLC. Who ever said gender-neutral had to be colorless? This nursery is anything but bland, with bright colors and bold pattern play. Baby will be stimulated by the design and can drift off for naps dreaming of taking flight with the lovely sparrows swooping around the wallpaper. 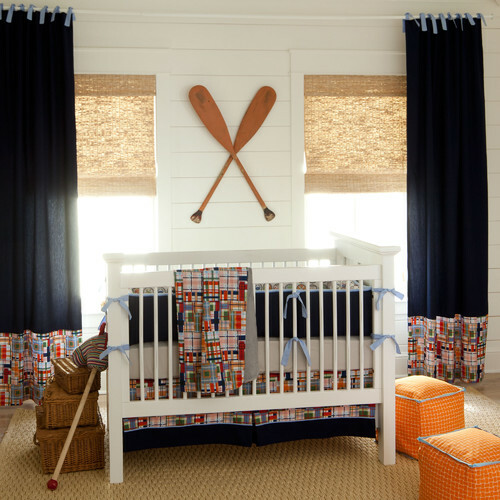 Teaching your baby about the great-big world around him or her is easy with a global-themed nursery. Easy to use for girls or boys, the room features a colorful vintage map and natural, cozy textures that any world-travelling explorer would love to come home to. This last room is bright and cheerful with pops of sunny yellow that look fabulous with the cool grey neutrals. A modern mix of patterns brings excitement while the clean lines make the space calm and free of clutter. A comfy chair for Mom or Dad and beautiful zebra portrait complete this darling nursery. Look at this time of countless choices with fondness. It is fleeting at best, and before you know it your little one will be here to cuddle and enjoy. Just go with your heart and remember to look at design through the eyes of a child and you’re sure to have a winning nursery style. For more design inspiration, please visit Modernize.com. Looking for Soccer inspiration this weekend. What a weekend it is? 2014 World Cup, Father's Day, and Stanley Cup! Dad's are ready to sit on the couch this weekend for some sports action, while Mom's are talking about how they can incorporate love for soccer into their boys room design. Here are some ideas and inspiration for decorating modern and contemporary soccer rooms. 1. This soccer ball ottoman gives a hint of soccer without overwhelming the entire room with this theme. 2. Hint of green on the walls alludes the relation to grass and adore the red accent. This creates a versatile space to grow with your child. 3. White over sized floor lamp gives impact to the room, light field lights on those late night games! 1. I'm always a fan of personalizing a space for your child. 2. Vintage style in the decal design creates a featured decor piece for the room. 3. You can still mix and match with other sports as a great addition. 1. The soccer field rug gives the boys a place to play together. 3. Shared rooms with matching bedding. Love the solid blue with green accent stripes. DKOR INTERIORS - A bold and comfortable interior design project at The Beach Club in Hallendale, Florida. Decorating your baby’s room is probably one of the first things you’ll think about once you get over the excitement of finding out you’re expecting. Planning your little one’s first bedroom can be exciting, especially as you think about all the themes, colors and decorative items you can include. Now you ask yourself.... where do I start? It is good to have basic decorating tips for whichever room you decide to decorate. 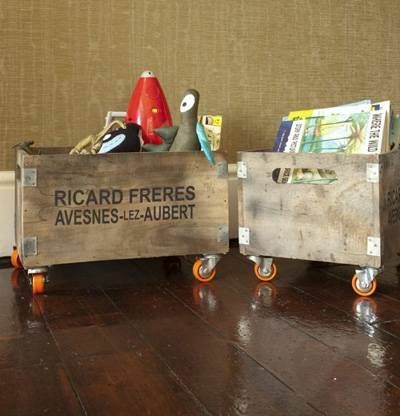 Here are some decorating tips for baby nursery and kids' rooms. 4. Personalize: it's time to decorate the walls with finishing touches. Create a space that feels like you. How do I start to figure this all out? 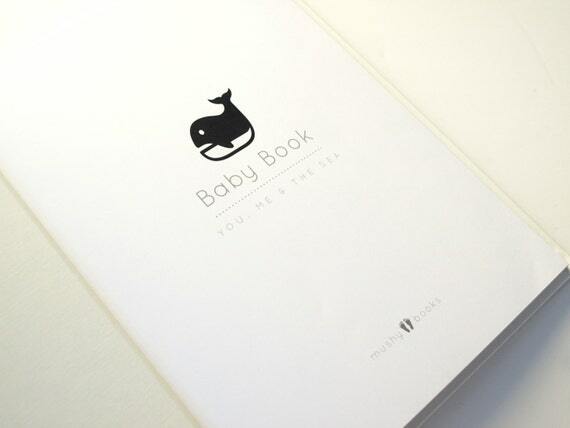 Visit Nursery and Kids Design's profile on Pinterest. Sign up for our newsletter to receive design tips and information about upcoming events and product features. Also, introducing our recommended paint colors. Stay in touch with us on Pinterest. Follow Nursery and Kids Design's board Paint Colors on Pinterest. Browse Benjamin Moore 2014 color trends. The NEW Neutral color palette. These colors are beautiful for a nursery. Look forward to mix and match colors with decor to make decorating, simple, easy and fun!